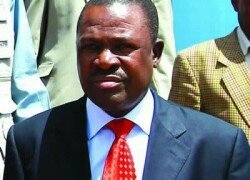 In my opinion, Mr Kabimba is better off concentrating on his party than fantasising about the demise of PF. For him to start dreaming about people’s triumph over PF just shows how unprepared he is for the August 11 elections. The reality is that no one in this country can unseat President Edgar Lungu who has so far displayed determined leadership. Unlike some of you who are always issuing threats through the use of uncouth language, Lungu is a grandee and God-fearing leader who the creator has chosen for Zambians. The way he has so far handled national issues is simply incredible. I am more than sure that given another 5 years he would take Zambia to greater levels of development. For me, the opposition in Zambia has become totally extraneous because all it knows are affronts and irrational attacks on those in power instead of offering checks and balances. As for Mr Kabimba’s Rainbow Party, socialism only makes people lazy and become over dependent on government handouts. Is this the type of set up Mr Kabimba wants to bring to Zambia? For the other opposition leaders, the insults you have kept pouring on President Lungu will haunt you on August 11.They have already been turned into opulence by God in favour of Mr Lungu. The people of Zambia know what type of leaders exists in the opposition camps and will therefore make a sagacious choice on August 11. I have no doubt that Zambia being a Christian nation is headed for better days under the leadership of President Lungu.